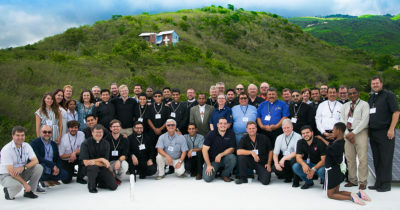 The South American Missions | "Northern Crossings"
This picture was taken from the roof of the Seminary/School/Mercy Center in Palmar Arriba in the Dominican Republic where a symposium and meeting of mission partners was held not long ago. Mission work in Central and South America is going well and right now we have a team of North Dakotans headed to Chile to see our missionaries in action there. We hope to get pictures and report soon. In the meantime pray for these folks and the work they do around the world. Up here in the North Country we have invested much in work in Africa. North Dakota is doing much in Africa in partnership with Minnesota North and starting in a partnership in Chili. Minnesota North is with us and Project 24 and also has some interesting partnerships and project in many different places. God bless the missions and missionaries.